Last night, The Revival bested the team of Bobby Roode and Chad Gable to become RAW tag team champions. Chad Gable has since addressed their loss via Twitter. In case you missed it, WWE has new RAW tag team champions. Despite being surrounded with rumors regarding their status, The Revival, have come away from last night’s Monday Night RAW victorious. They bested the team of “Glorious” Bobby Roode and Chad Gable to claim their first tag team championships on the main roster. After numerous weeks of speculation and whispers — extending to an attempt to ban Lucha House Rules — Scott Dawson and Dash Wilder can finally call themselves champions as WWE continues to try and reignite their tag team division. 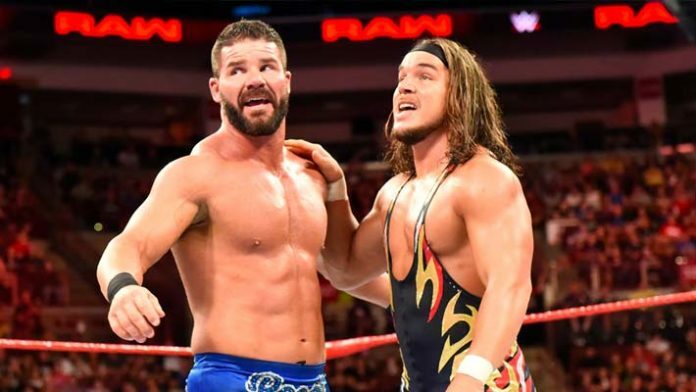 Taking to Twitter, Chad Gable addressed their loss, taking it in his stead and congratulating The Revival. He did add a caveat, saying that this isn’t the end between the two rivals teams. He promised that “We’re coming…#Glorious”. “Fair and square. Congratulations, Revival. Despite putting in a great performance and winning the titles clean, it does beg the question over WWE’s stance towards disgruntled talent. With The Revival being given a run with the belts, does this usher in a new wave of unhappy talent getting an opportunity, or is this a case of WWE placating Superstars for the short term? Perhaps this is simply the beginning of the revival for The Revival.